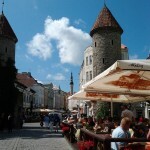 In July 2011, I went to Estonia for a half day. 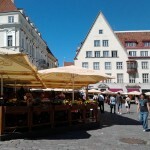 We boarded a ferry from Helsinki (Finland) to Tallinn which is the capital of Estonia. The duration of the ferry trip was 1.5 hours so it was nice. 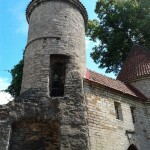 We went in the morning and returned at night. It was a quick fun trip. 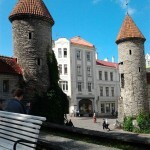 We visited the Old town in Tallinn. 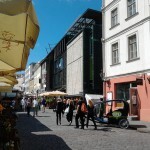 It had many cafes & souvenir shops. 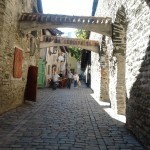 No cars can go in Old Town so I had fun walking and exploring the area. 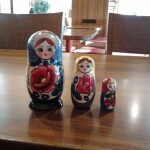 Additionally, I bought Matryoshka dolls (Russian nesting dolls- See the gallery) so it was pretty cool. 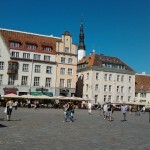 If you are ever in Helsinki, you really should visit Tallinn from morning until night. 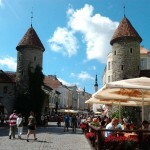 Never heard of Estonia? 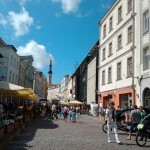 Well here is some info: Estonia is a country in Northern Europe. They’ve recently joined European Union so you can visit them with Schengen visa and their currency was changed to Euro in early 2011.
nice pics , i also never heared of it till i met this weird cool lady in one of my trips to thailand .. we shared the same macdonald table and she told me about her country and how they get liberation by only singing .. she kept talkin proudly about her country then we went from that to takin photo’s of street dogs lol ..